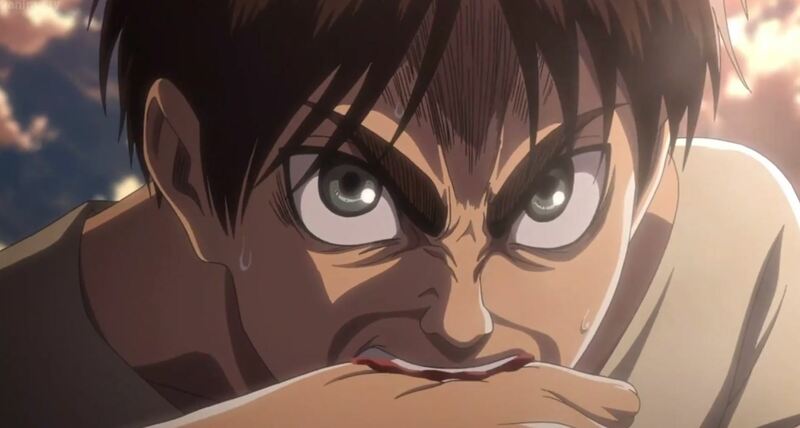 Finally, Eren decides to grab a bottle labeled “armor” and breaks it in his teeth. He transforms and pillars of crystal beings to reinforce the ceiling of the cavern. The squad hides underneath Eren. The Anti-Personnel Squad is harmed however. Caven and another solider are crushed by debris form the cavern ceiling. 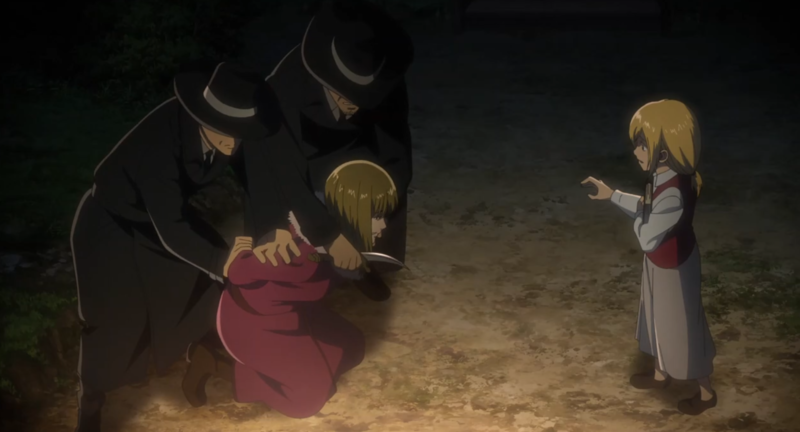 Unsurprisingly, Hange survives, as Armin and Moblit escape with her Erwin arrives with the scouts. 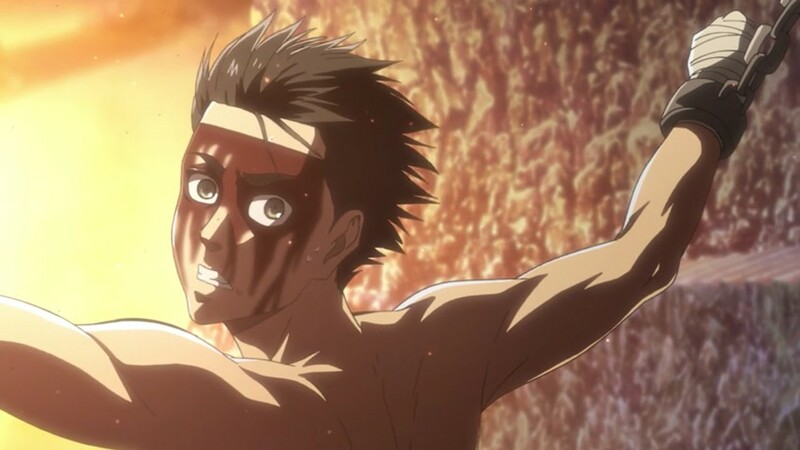 Meanwhile, Eren is freed from his crystallized Titan and has apparently gained the ability to “harden,” his skin. Levi points out that this is can be used to rebuild the Wall Maria. Interestingly, Rod’s Reiss Titan is strange. It’s large and seems to have a torso too long to stand, along with arms and legs too weak to lift him. Instead of walking upright it crawls and burns everything in it’s wake. According to the Scouts they believe that Rod is an Abnormal Titan. Historia is asked by Hange if she’s okay with her father being killed. Considering the fact that a Titan of that size must be killed. If find the attachment between Historia and Rod to be weak. It’s really unconvincing to me that she would sincerely care about him. However, she accepts that her father must die. This episode wasn’t really as entertaining or interesting as the previous ones. That’s no real issue, all episodes don’t need to be spectacular. Mostly the episode felt slow and there wasn’t anything new revealed. Regardless, I’m curious why Erwin won’t evacuate the civilians, the next episode is going to be very interesting. In contrast to the last episode, this one entitled “Old Story” may seem slow, but I think it’s has more impact. In typical Attack on Titan fashion the stories told aren’t uplifting but rather dark. We start with Historia. She tells the scouts that she was born on the land owned by the Reiss family. This episode focuses on the negative effects parents in the series had on their children. Historia’s mother (if we can call her that), literally goes out of he way not to speak to her daughter. Her mother simply reads a lot, while ignoring her. When Historia tries to emulate her mothers reading she realizes through the stories that her relationship to mother is uncaring. When finally makes physical contact with her mother, she’s meet with a violent reaction. Her mother then utters her first words to her daughter, “if only I had the courage to kill the girl.” Her mother then leaves for fives years only to return with Rod Reiss. He admits to being her father but the government intervenes. Father leaves her mother for death and Historia’s mother final words to her daughter is “if only I never had you,” before her throat is slit. Historia’s mother is a very sympathetic character, so her death didn’t really bother me. However, the reason for her death was clear due to having a daughter with Rod Reiss. 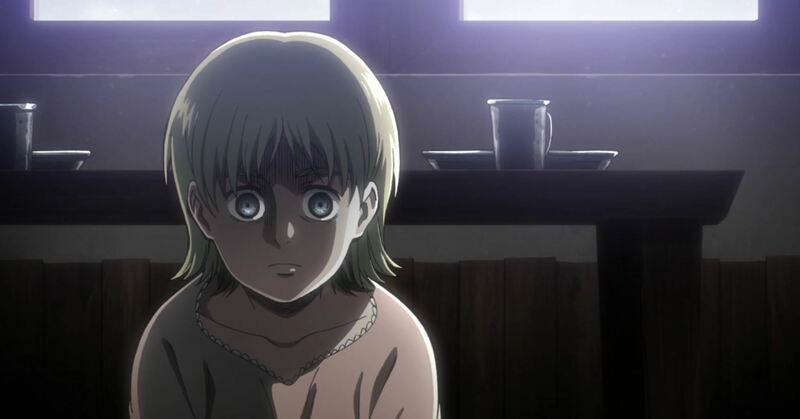 Basic giving birth to Historia cost her, her life and she likely knew that it was always going to. Her behavior toward Historia seems reasonable in that context. I don’t know how redeeming Lord Reiss “saving,” of Historia is, and I don’t trust that he truly cares for her to be improbable. He’s likely using her to gain something. Hange reveals to the scout that Eren is likely going to be “eaten.” After overhearing a conversation between Ymir and Bertholdt, we learn that Ymir ate their comrade. 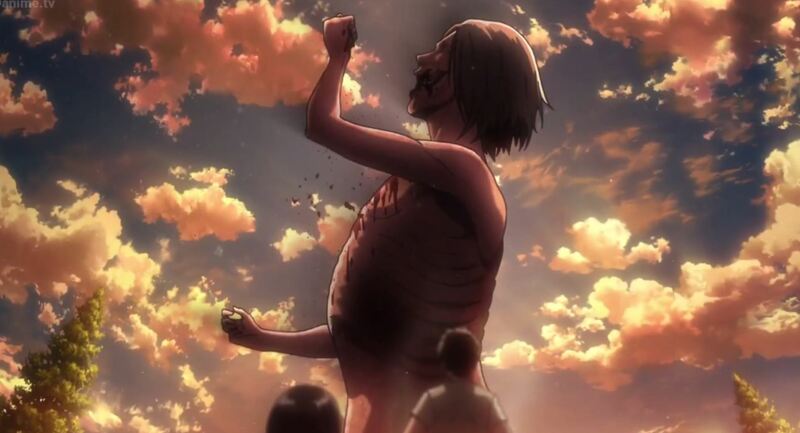 Eating a human that turns into a titan, while being a titan may result in that titan reverting back into a human. 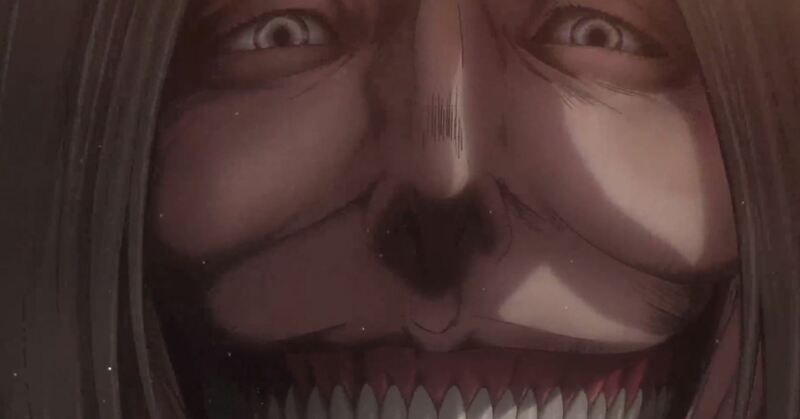 Hange believes that they will also gain the powers of that titan. Meaning that the government may want to have a titan under their control eat Eren and gain his ability to control other titans. 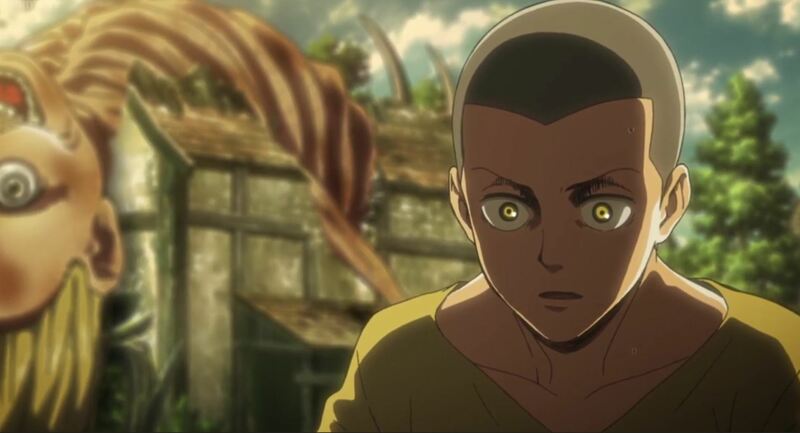 I assumed that they would use Eren’s power to turn into a titan for their own ends, however, that was a ridiculous thing for me to assume considering that Eren would never do that. Killing him, while gaining his power make much more sense. The third flashback we get is from Commander Erwin. He speaks to Pyxis regarding his desire to “retake Wall Maria and overthrow the government.” Apparently, he plans on doing so without the need for the military or death. That seem implausible but he’s vague as to what the actual plan is. Erwin recounts the story of his fathers death. His father was a history teacher, however, he taught an edited version of that history. He trusted Erwin with the truth and Erwin went a told his classmates. The military found out about it and killed his father. He believed that the the King had the power to alter the memories of the people, making them easier to rule. This is just a theory, but one that Erwin aims to prove. Erwin elaborates on his plan when Hange returns, the plan is to put Historia on the thrown as she’s the Queen. Hange Zoe becomes the next commander of the Scout Regiment. Meanwhile the scouts are declared enemies of the state, to be arrested on sight. They are accused of being responsible for the death of Mr. Reeves. Considering the fact that Mr. Reeves son is the only living witness he may be the key to aiding the scouts again the government. I like the way that they used flashbacks, furthermore, the contrast between Historia’s relationship with her mother and Erwin’s relationship with his father is clear. 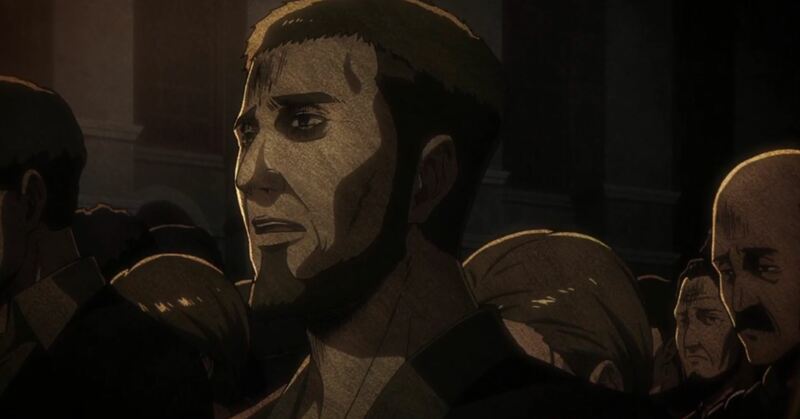 While, Historia’s mother barely communicated with her, Erwin’s father often did, teaching him History during the day and educated him on the truth at night. It is this communication that costs him his life. Both of them are “responsible,” even if by accident for their parents deaths. Erwin has taken this reality and turned it into a mission, it’s unclear what impact Historia’s past has had on her. Finally, with all the betrayals, lies and conspiracies it’s difficult to trust some of the secondary characters. Will Commander Pyxis betray them too? What about Mr. Reeves son? Regardless, another amazing episode. This episode steps up in it’s intensity. Eren and Historia are quickly tranquilized as Levi gives chance. 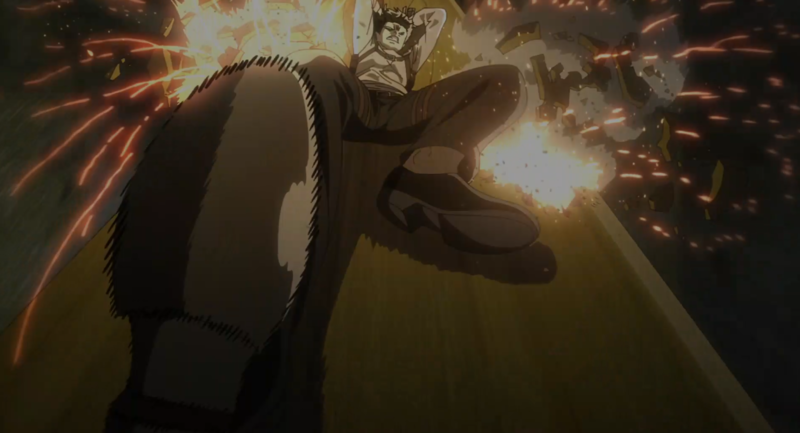 Levi is quickly attacked by Military Police, lead by Kenny. 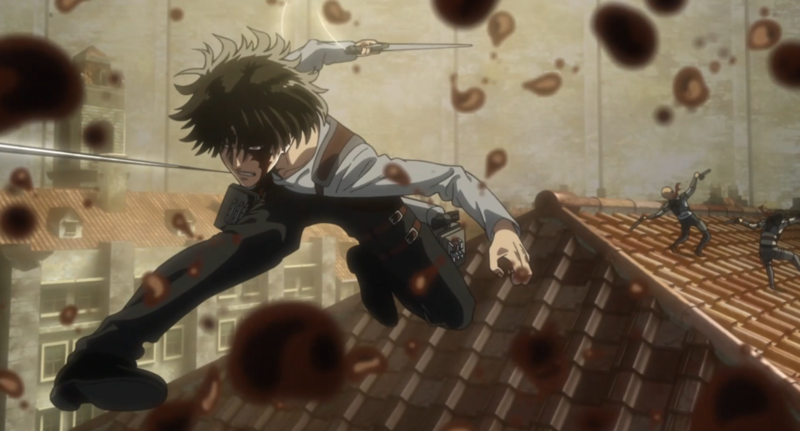 The chase scene is spectacular, Levi’s skill isn’t surprising but still exciting to witness. Watching Levi and Kenny match wits, Levi outsmarts Kenny. Managing to shoot him with shotgun, although Kenny seem unharmed. Kenny is a odd character, his mannerism are rather relaxed he seemed unfazed by being shot. Meanwhile, the other scouts hear the commotion. 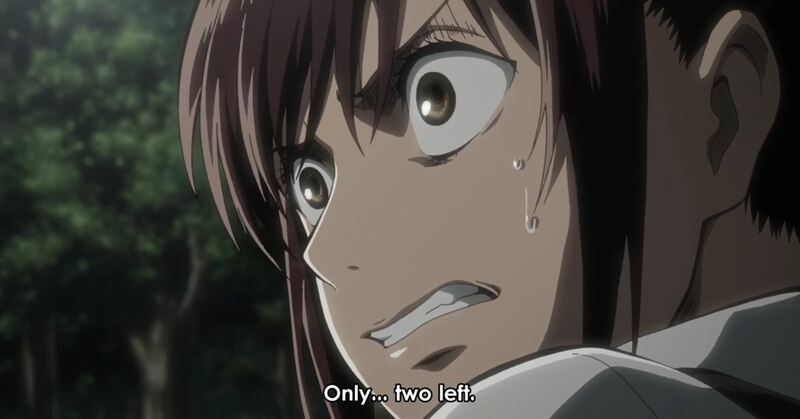 Mikasa finally tells them what Levi told her, “from now on, we’ll be fighting humans, too, and not just Titans.” The shift in dynamic from killing Titans to killing people was always going to be a dramatic shift in the series. It isn’t surprising that many of the characters are apprehensive regarding killing humans. It’s much easier to kill Titans not so much in from a technical standpoint, but from a mental. Levi tells them that they “can’t hesitate,” when it come time to kill. Of course Jean and Armin struggle with this. After capturing the wagon, Jean does indeed hesitate, but so does the woman aiming her gun at him, it’s Armin that kills her saving him. Despite, Armin’s efforts, the Military police succeed in capturing Eren and Historia. 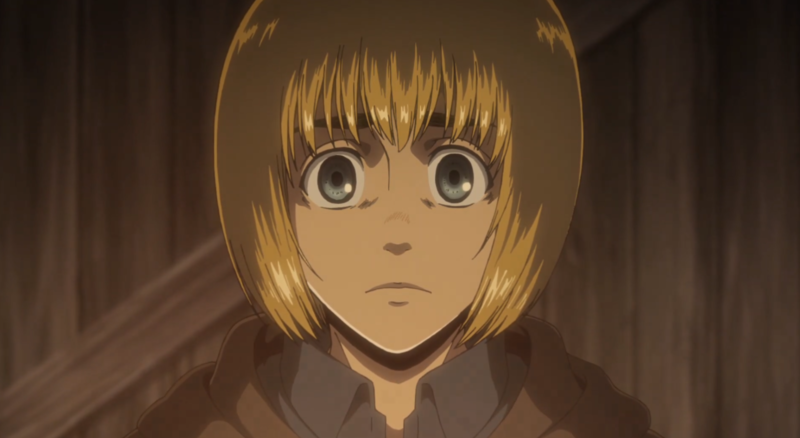 Armin has a profoundly negative physical, emotional and mental reaction. He starts to cry, throw up and lose his appetite. 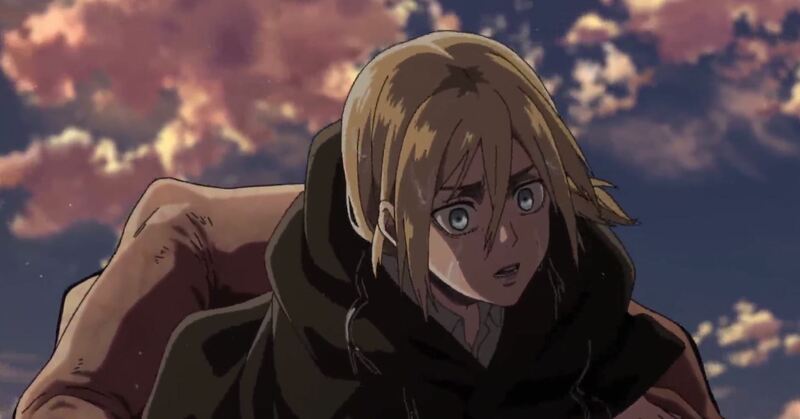 He concludes that “the person he killed must have been a nice person and more human than he is.” Levi tells him to “embrace the new him,” that Armin is the reason that Jean is still alive. This seems to be mild comforting to him. Jean questions the morality of “hurting people,” Levi states that he’s not certain of the morals of his orders. The complexity of characters, their lives and decisions are part of what makes this series so enthralling. Is it weird that I enjoyed the torture scenes? Probably. The scouts are cleaver in how they manipulate their captives, when physical pain doesn’t work they use the other captive to demoralize the other. This episode has introduced some dread to this season. Armin will clearly struggle with his new experiences. 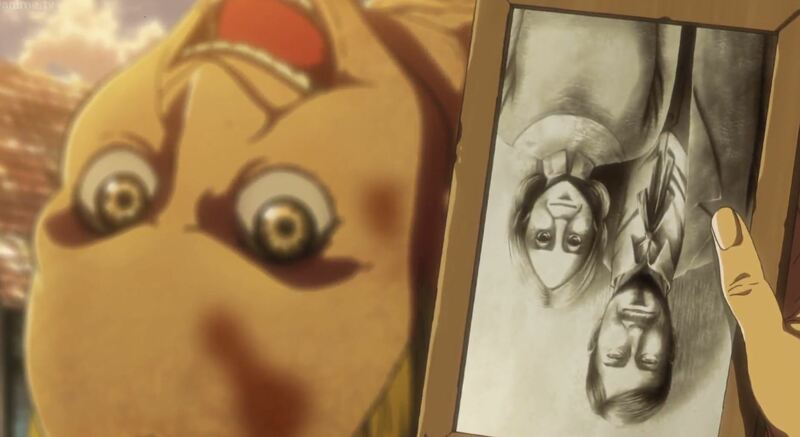 We find out that Historia is the “true royal successor,” and she with Eren are with Rob Reiss. 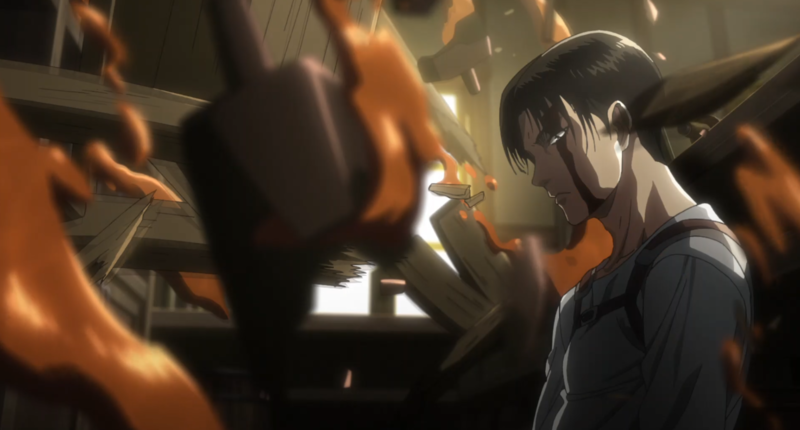 While Levi was successful at besting Kenny, his team did fail to rescue Eren. I mentioned this before, but it is surprising and refreshing to see that Eren has taken a backseat to other characters. Even-though it is becoming a troupe that Eren gets kidnap so often. The final episode of the second season of Shingeki no Kyojin (Attack on Titan), entitled Scream, begins when the last episode ended. 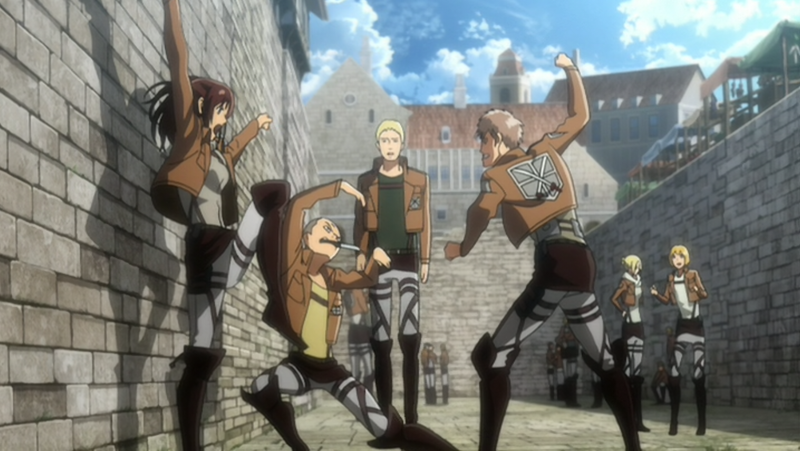 As Reiner throws titans at the scouts, they get up and begin to attack them. 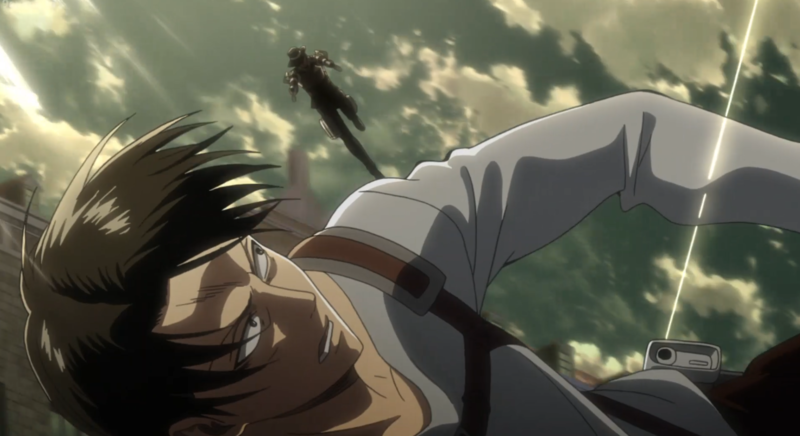 Ymir rescues commander Erwin from a titan, while cursing him for ruining her plan.The smiling titan attacks Eren and Mikasa, but Hannes intervenes. How he manages to physically take a hit from the titan and stand tall is beyond me, but he does. He quickly engages the titan, hoping to get revenge for Eren’s mother. Hannes holds his own against the smiling titan, managing to cut the achilles of the titan, however, its at this moment that he’s captured . I’ve been predicting that Hannes was likely going to die, but the manner of his death was striking. His death is almost shot for shot the same as when Eren’s mother was eaten. Since revealing her titan status, Ymir has been questioning where she belongs and what to do regarding Historia. She finally makes her decision that now that Eren is revealed to be the coordinate, there’s hope for Historia within the walls. Watching as Reiner and Bertholdt are besieged by titans, she chooses to save them. When Reiner and Bertholdt ask why she helped them, she admits that she owes them for killing their friend. At this point it seems that Ymir’s purpose in the series is over, and it’s unclear that Bertholdt and Reiner will return. Overall, the series remains a one of the top anime of all time. The series manages to balances emotional intensity, action and good plot development. This season did focus on some of the characters, mainly Ymir, Reiner, Bertholdt and Erwin. However, Levi took a major backseat, I hope he’ll return to the forefront in the following season. The season ended with a mild cliffhanger, introducing a new character. Luckily, we would only have to wait a year to get the next season. 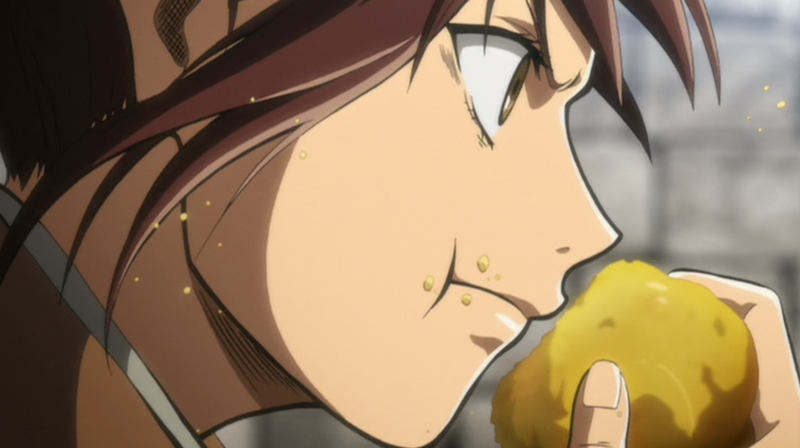 After Ymir removes a saliva covered Christa from her mouth, they engage in a conversation about who’s side she’s on. Ymir attempt’s to convince Christa that life outside wouldn’t be unsatisfactory. 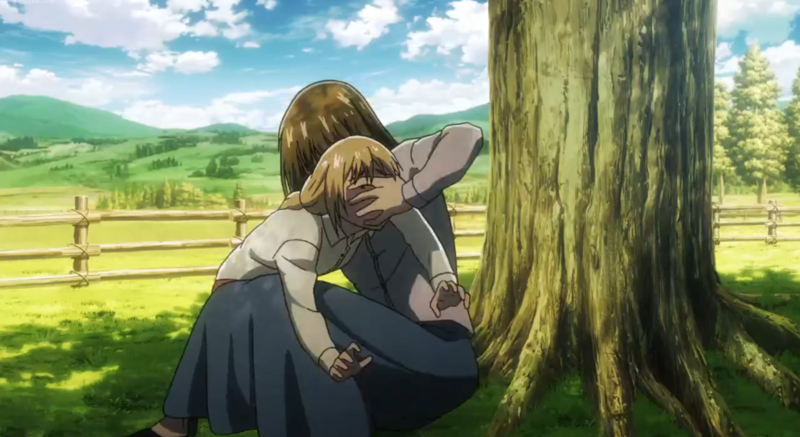 Christa ensues Ymir that she is on her side no matter what. She believes that Ymir has been forced into following Reiner and Bertholdt. However, Ymir tells that she was using to save herself and to make her crimes go away. Regardless, it will be interesting to see where this friendship will lead, Christa’s blind devotion may get her killed. Commander Erwin leads scouts towards Reiner, as a horde of titans follow behind. Reiner charges into the horde, but is tackled by some titans. Erwin continues the assault, telling the scouts that “there is no future where humanity can inhabit these lands without Eren,” the plan is simple, retrieve Eren then retreat. Reiner has no choice but to use his arms, leaving Bertholdt exposed. 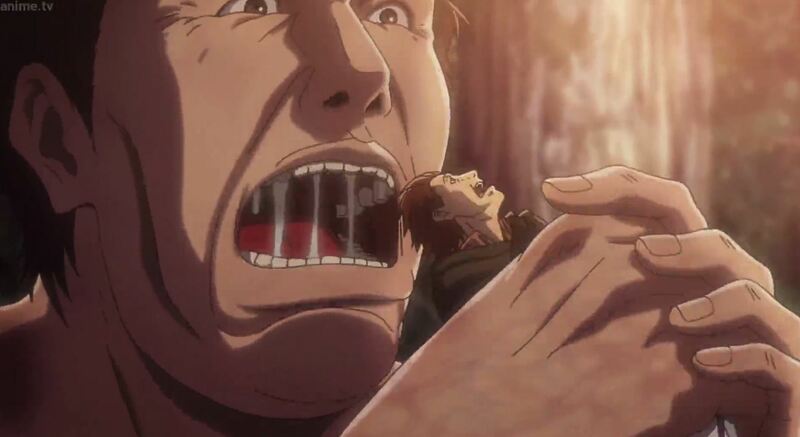 As Erwin leads the scouts he shockingly has his arm ensnared in the mouth of a titan. Regardless, Erwin continues to lead, telling the scouts to continue the plan. Many of the scouts are killed by titans, as Mikasa attacks Bertholdt and misses. She quickly is grabbed by a titan, but is saved by Jean. Armin arrives and attempts to manipulate Bertholdt and Reiner. 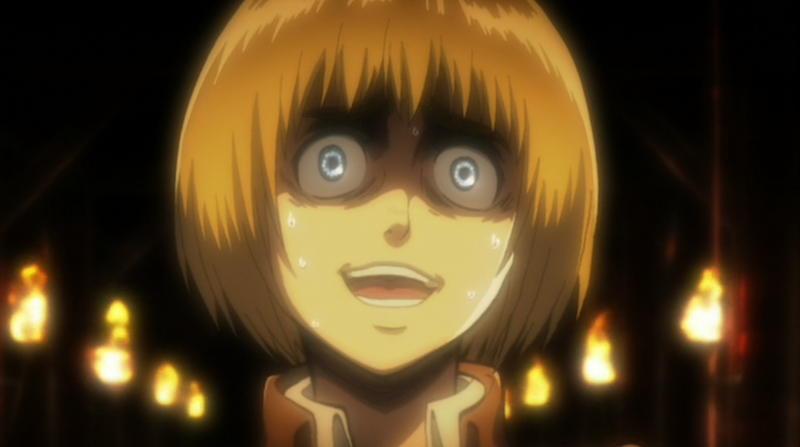 Armin’s best asset is his intelligence and he uses it for a negative reason compared to what he usually does. He asks them how they can abandon their comrade Annie. He tells them exactly where she’s being tortured, and what’s happening to her. 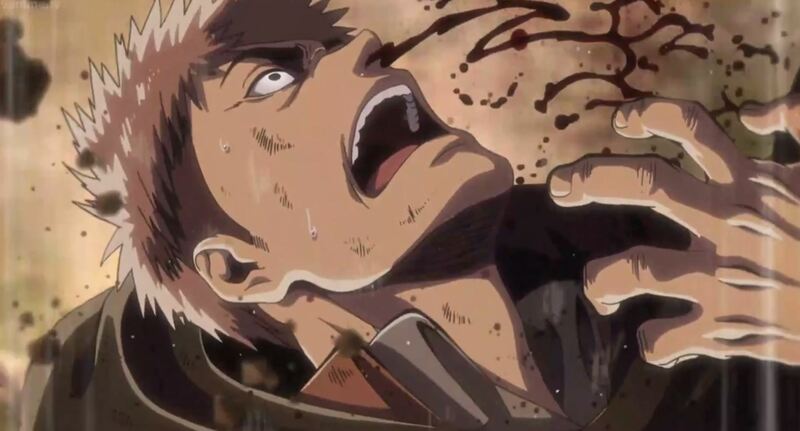 Bertholdt becomes enraged, but before he can do anything, Erwin (missing his arm) attacks him, freeing Eren. 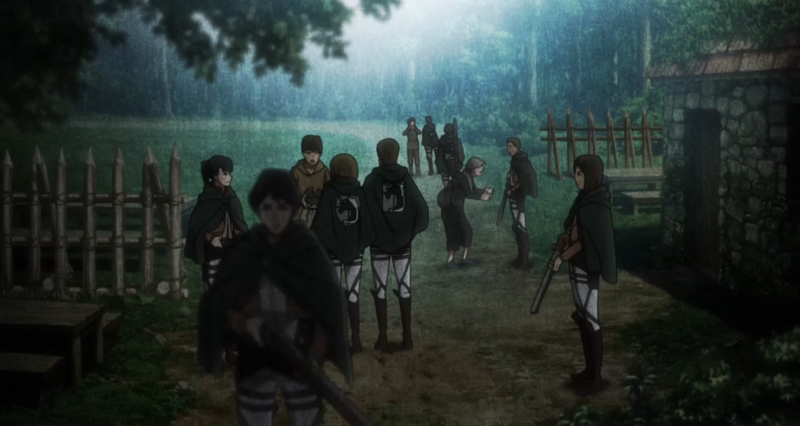 Mikasa grabs Eren and the scouts begin their retreat. As the scouts flee, Reiner begins throwing titans in their way. Eren and Mikasa are knocked off their horse and see a stunning sight. 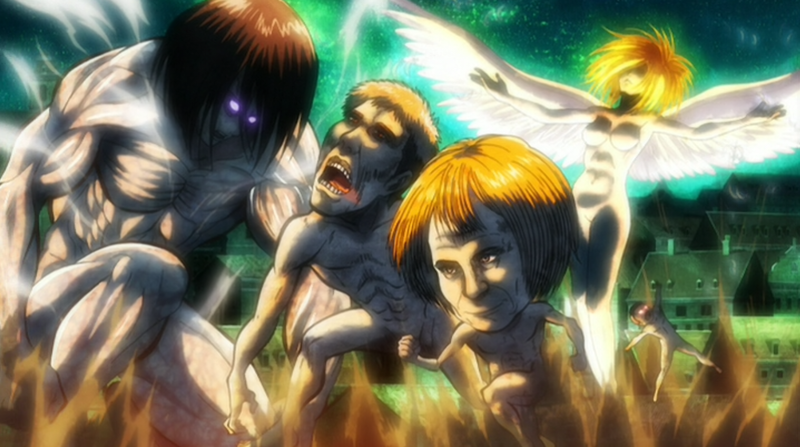 The titan that killed their mother, walking towards them. 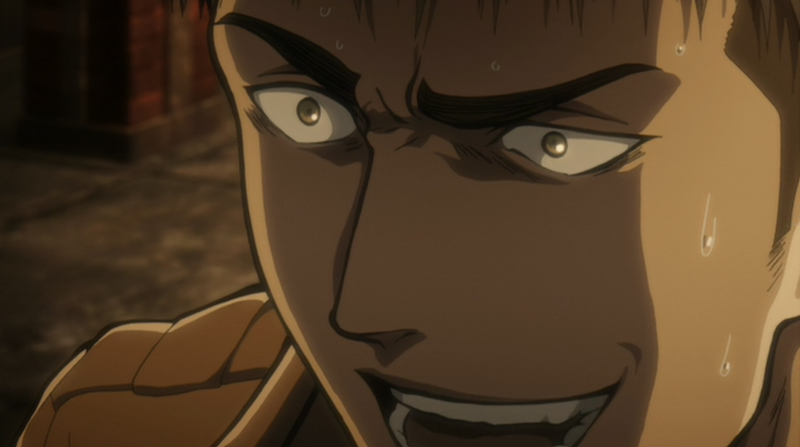 The penultimate episode of Shingeki no Kyojin, entitled Charge, was an episode that featured the essential elements that make this series great. High on emotion, anticipation, shocking twists and action, this episode set up what is likely going to be an even better finale. 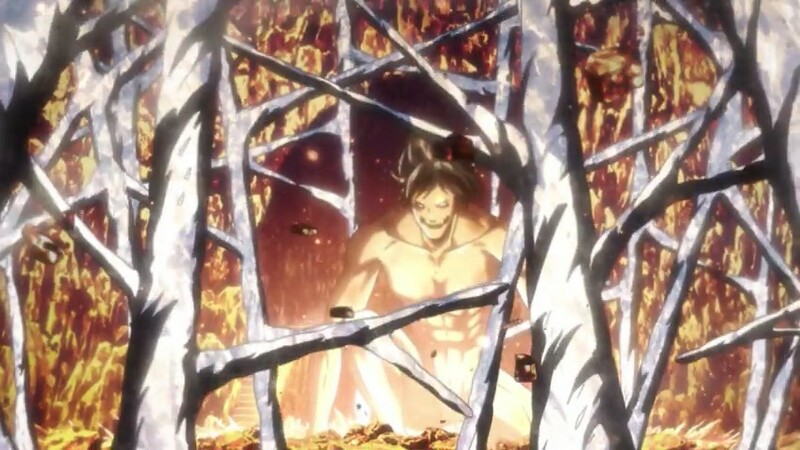 It’s safe to assume that, Eren snaps and goes full titan rage at the sight of the titan that killed his mother. Of course the fact that titans can only be killed by cutting the nape of their necks, the titans thrown will get up causing trouble for the scouts. I still can’t shake the feeling that someone major will die in the next episode, it will be interesting to see who. One of the previous mysteries introduced this season is what happened to Connie’s village. We got confirmation this episode that Connie’s family and the other villagers were turned into titans. The lack of blood, use of horses and normal titan behavior has convinced the scouts that the were transformed. The found photograph of Connie’s parents are telling and it is concluded that Connie’s mother is the remaining titan. Furthermore, during the Ymir flashback we see that her punishment, along with her followers was to be turned into a mindless titan. 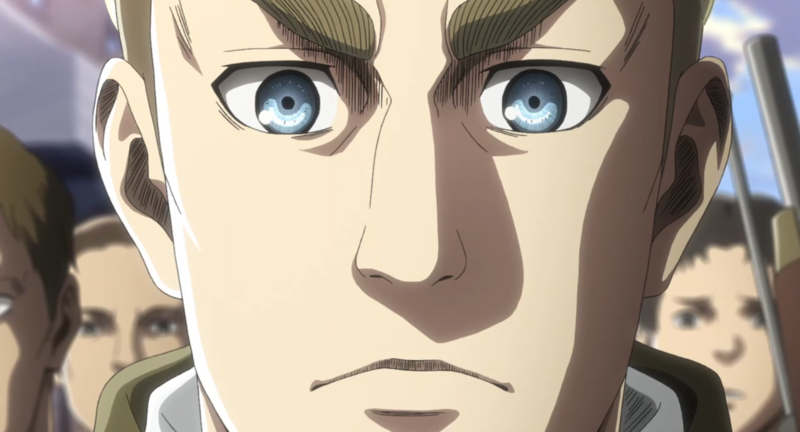 Reiner uses Christa to manipulate Ymir into working with them. Christa is also important due to her connection to the a family of the church. Ymir uses Reiner’s attraction toward Christa as a litmus test for where he can be trusted. Reiner doesn’t think they should risk themselves for Christa at this points. 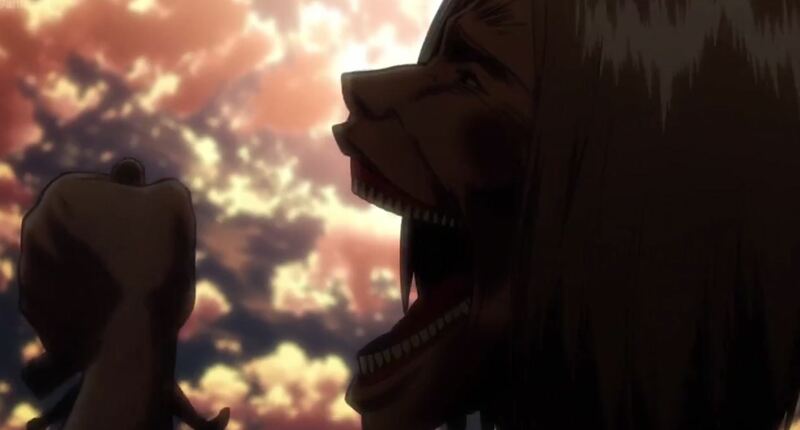 Ymir makes a passionate case for kidnapping Christa and turns into her titan form. The scouts head into the forests to follow Reiner and the others. However, the are attacked by the titans, they begin to use their 3D gear. They run into Ymir thinking that she was still on their side. However, when she spots Christa, she swallows her and flees. The scouts give chase but she is too fast, as Reiner transforms, together with Ymir, Bertholdt and Erin they begin to escape. The Scouts get on their horses and give chase. With only 2 episodes left in the season the climax is coming and likely to be explosive. I predict danger for the scouts as the no longer will have the cover of the trees. Finally, it seems heavily implied the Hannes will meet his end. What is the mystery of the titans? I am tempted to go on google and spoil the Attack on Titan series for myself, but I promised that I will stick to the anime only. Regardless, the third episode of Attack on Titan, titled “southwestward” begins were we left off in the previous episode. Connie mourns the destruction of his village, however, Gerger notices that the village lacks the general destruction associated with a titan attack. There’s no bodies, remains or blood left behind. The horses are still in the stables, meaning it is implausible that the villages left without them. 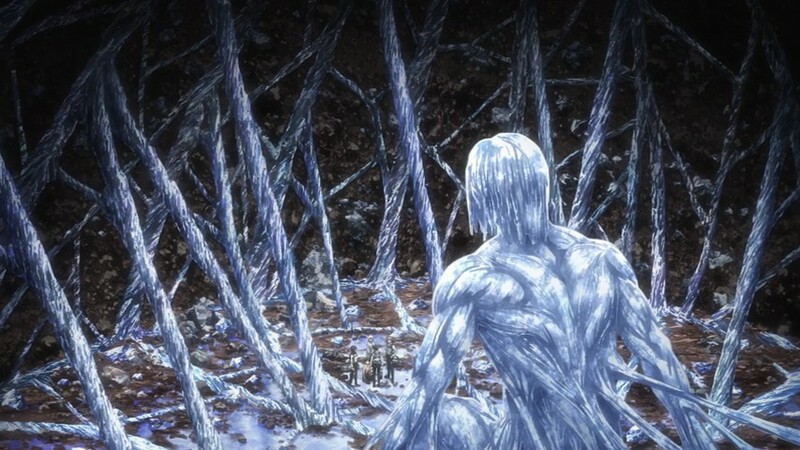 Before Connie leaves with the scouts, he hear what appears to be a strange and strained, “Welcome Home.” The trapped titan appears to have been speaking to him. 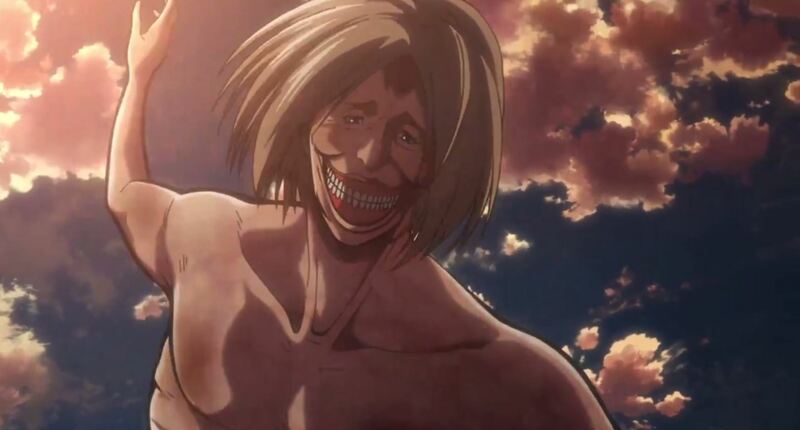 I predicted that Connie might be related to this titan in my last review, I think that I might be correct. However, I does seem odd that Connie doesn’t seem to recognize her. 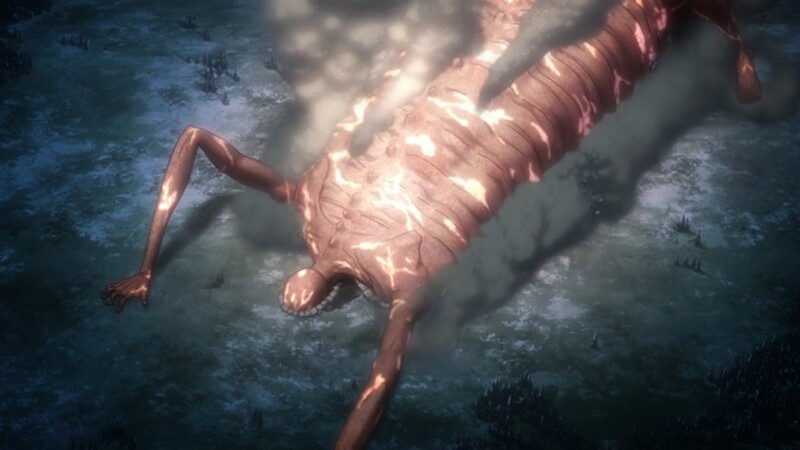 That said we do know that titans can be created with injections, I think the reason there’s no bodies is because they were kidnapped and some were turned into titans. If the titan is Connie’s mother, she must be a failed experiment. The scouts plan to follow the wall and locate the breach. Meanwhile, a group of scouts kill off another titan, with Captain Rico delivering the death blow. She notice the patterns of the titans are strange, elsewhere, Captain Hannes also releases the strange behavior. 11 hours later the team lead by Gerger, meets with another scout team. They confirm that neither group could locate the breach in the wall. Moonlight breaks through and a castle is revealed. 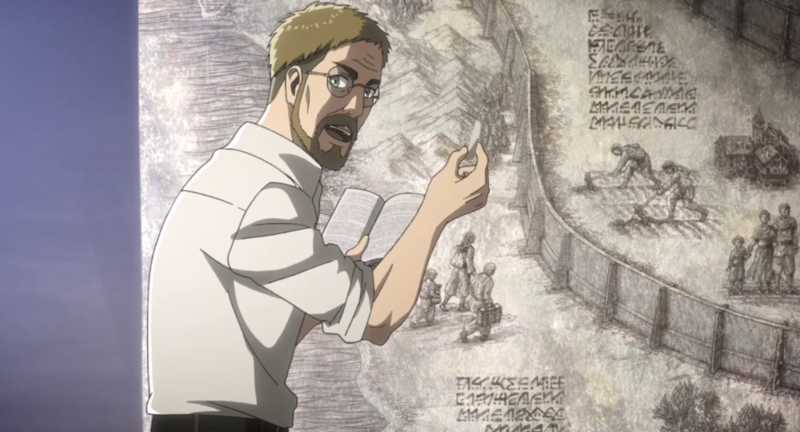 The scouts take shelter in the castle, meanwhile, Hange reveals that the skin of the female titan is the same “pattern and composition,” as the wall. 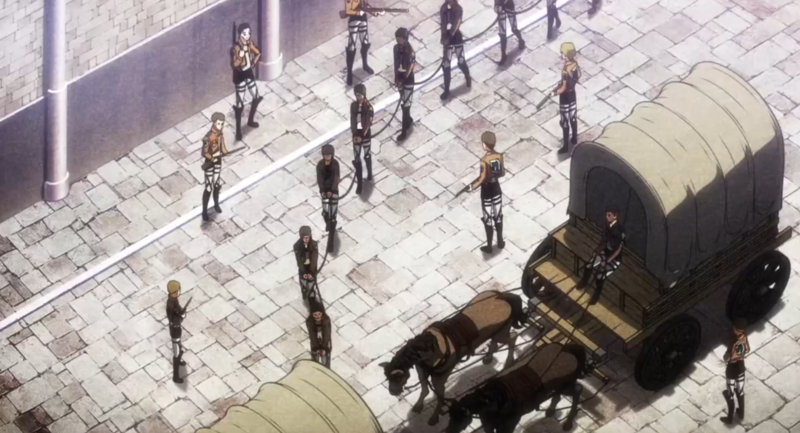 A massive group of titans most likely under the control of the beast titan, attack the scouts at the castle. 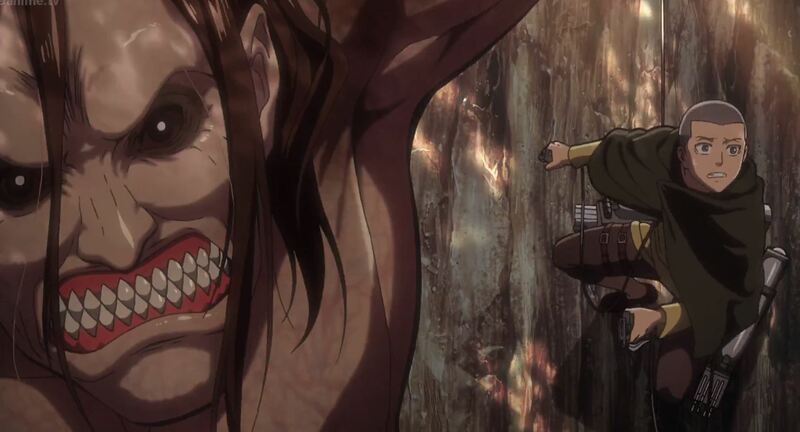 The beast titan as pointed out by Connie, heads for the wall. Hange, Levi tells Armin, Eren and Mikasa their mission. Gerger becomes enraged as the titans continue the assault on the castle. He and the other scouts with gear attack the titans, meanwhile the beast titan scales the wall. The rest of the scouts travel towards the castle, I wonder who will still be alive? This episode featured no action, but still manage to remain intense. A partially striking moment was when the scouts were using torches to illuminate the night. The lack of visibility was frighting, I assumed that they would be attacked. That thought alone created the frighting moment. I was understandably relived when they meet with another scouting team. 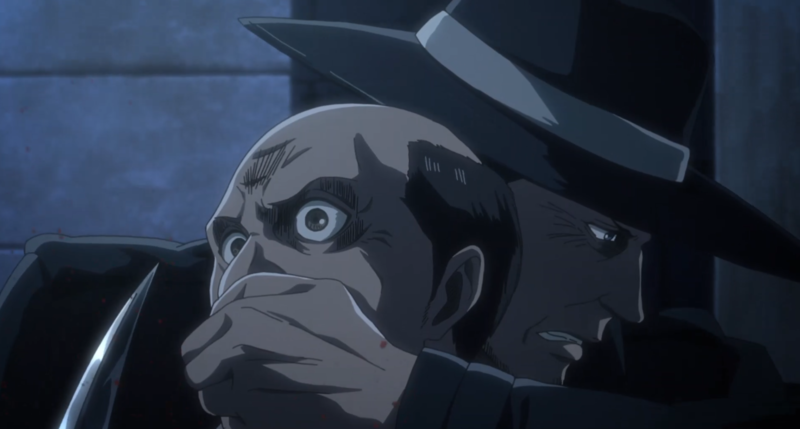 Armin and Hange together make a formidable team, their logic and reason are probably the best. Finally, I would say that, Ymir, stood out this episode, but not in a good way. She seems suspicious and the squinting eyes and close ups didn’t help. I don’t know what she’s up to but its not good. Attack on Titan, episode 2, “I’m home” reintroduces the main characters, but focuses primarily on one secondary character Sasha Blouse. She is known as “potato girl,”possessing an insatiable appetite and a pleasant manner of speech. Sasha returns to her village, Dauper, that is a sparely populated village in the forest, in the southern territory of Wall Rose. While returning to the village she remembers a argument she has with her father, Mr. Blouse. She sees a new village and is immediately confronted with a horrific sight. A more human sized titan is chewing on the leg of a handicapped woman as her daughter watches. 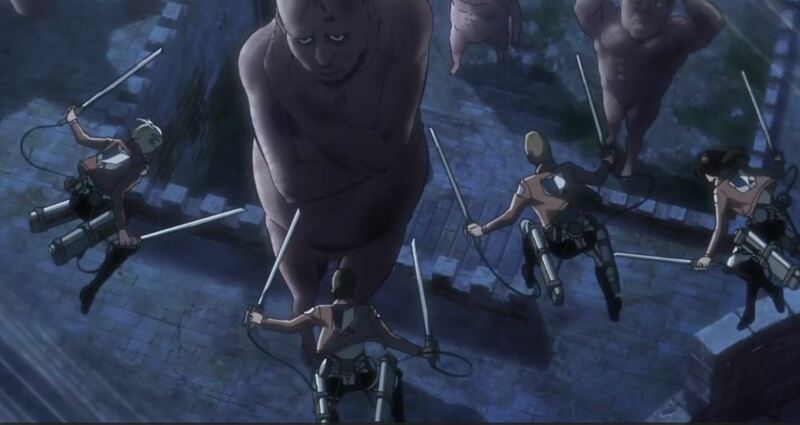 Sasha attempts to use an axe to kill it, but the rate of the titans healing prevents her from succeeding. She loses he grip on the ax and out of desperation flees with the girl. The titan turns its attention toward Sasha and the girl, while the girl is stunned that Sasha would help her at all. Sasha has a flashback of her and Ymir, who tells her to be herself. She returns to the present and determines that she will fight off the titan and the girl should run. Sasha isn’t know for her titan slaying prowess, but puts up a valiant effort considering that she only had a bow and four arrows. She concludes that blinding the titan temporarily will be the key to freedom. She succeeds and is surprised to see her father and other villager returning to get her. Her father tells her that he’s proud of her. Meanwhile, Connie Springer also returns to his village, he frantically rushes through his village and toward his families home. 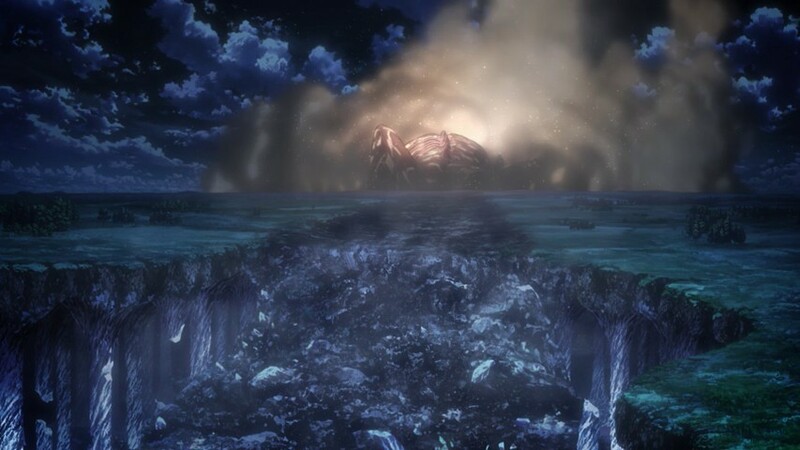 The episode concludes with a odd titan, that has crushed the home of Connie. The titan is emaciated, with ribs protruding out of it’s body and small limbs. This episode conclusion was the most interesting part. 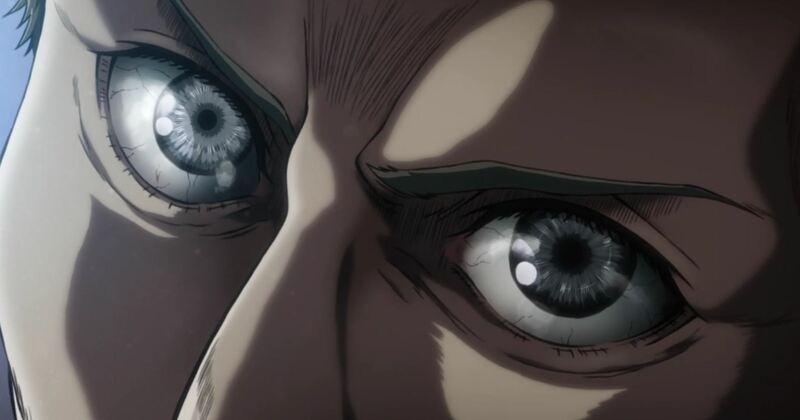 I can’t hope but wonder that the eyes of Connie and the titan are similar. It may be nothing but I though it was interesting. Regardless, the next episode may reveal what true. 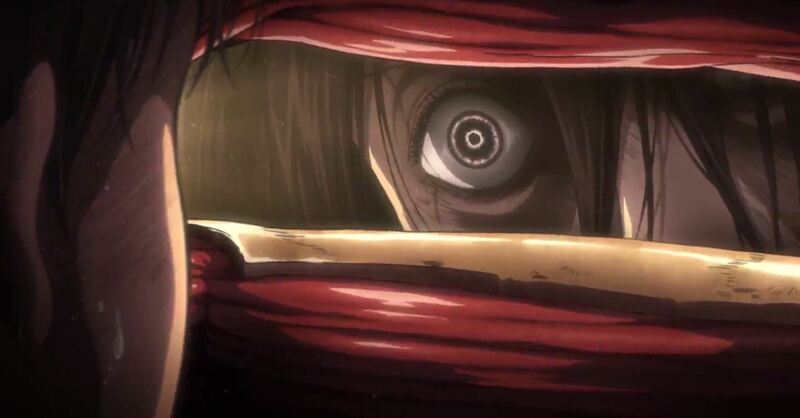 The beginning of the episode reintroduced us to our primary characters, Eren, Mikasa and Armin. They are tasked with traveling in a group that features Levi, Pastor Nick and Hanji. She suggests that the trip will test Pastor Nick resolve and expose him to the reality of the world. This wasn’t an action packed, but interesting as always. Sudden Visitors is the second OVA (Original Video Animation) of the Attack on Titan series, the first being “Ilse’s Notebook“. It’s the year 847 and Jean is drawing a picture of a girl that looks like Mikasa He’s under the covers, while he cries. His mother opens the door with food in her hands but Jean snaps at her asking why “she didn’t knock”. He kicks her out, destroy’s the drawing and states that he will join the “Military Police”. Two years later he does, while in one of the cities within the wall, Conner says he’s never been to a walled city and Sasha hopes their will be a lot of good food. 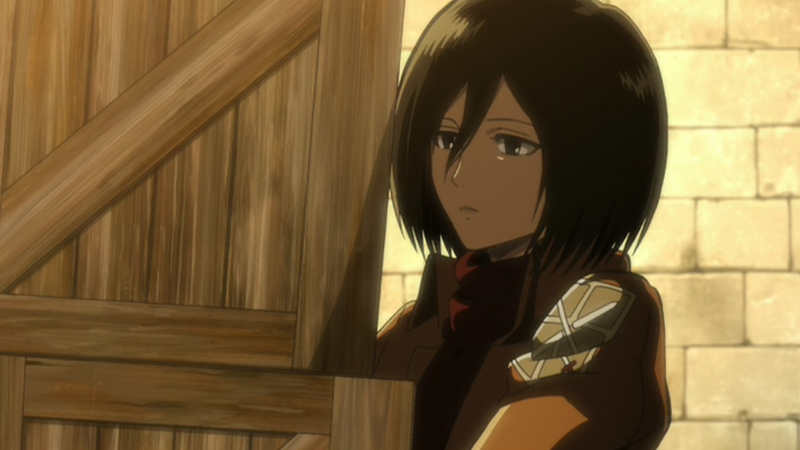 Armin and Marco ask Jean if he will return home, but he angrily reply’s with “shut up”. A flashback shows Jean and the rest of the 104th trainee squad participating in a mock defense of the “Trost District”. 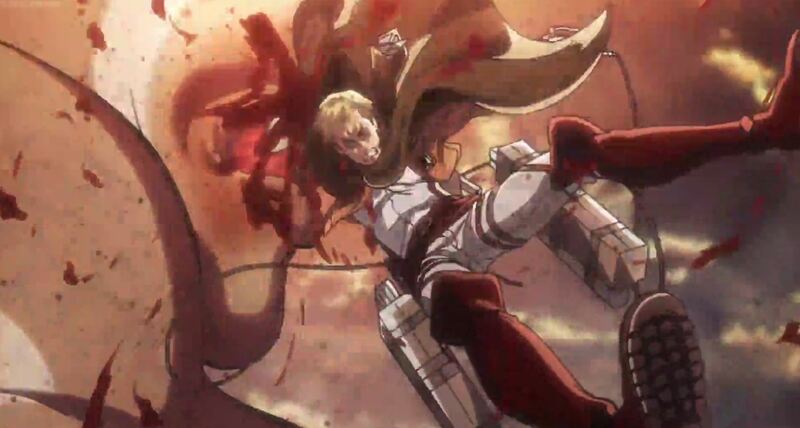 Jean teams up with Armin and Annie, when their first target is found Mikasa strikes first. Jean compliments her stating that she is “the only one who is better than him in the squad”. 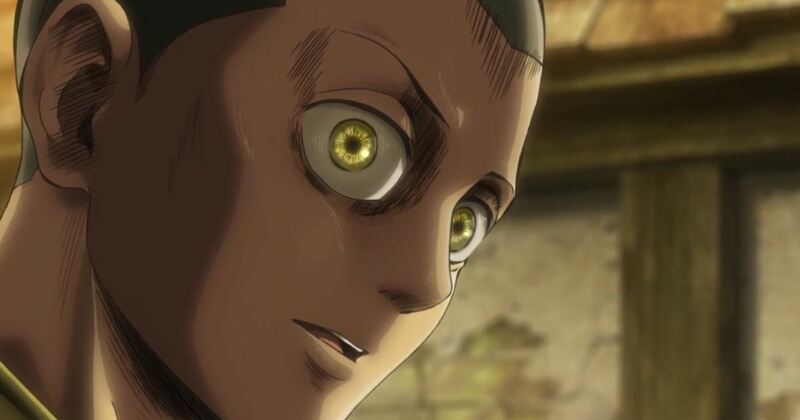 When Jean and his team face three other targets, they are “stolen” by Conner, Reiner and Sasha. Jean gets into an argument claiming that they’re cheaters. Conner asks if Jean’s anger has anything to do with his mother, which further angers him. Dot Pixis tells them that they will determine their dispute with a food contest. Jean is at first hesitant but decides to agree when Sasha challenges him. He goes with Armin and Annie to search the forest for a large boar. Jean states that the giant boar has the best meat, and they probably will win. Sasha, Conner and Reiner appear next to him, they find the boar first. Reiner determines that the wild boar is “impossible” to kill. However, Sasha hit’s him twice changing his mind. The boar awakens and Sasha and Conner attack. Jean and his team also follow the boar, Sasha kills the boar by shooting it in the head with an arrow. 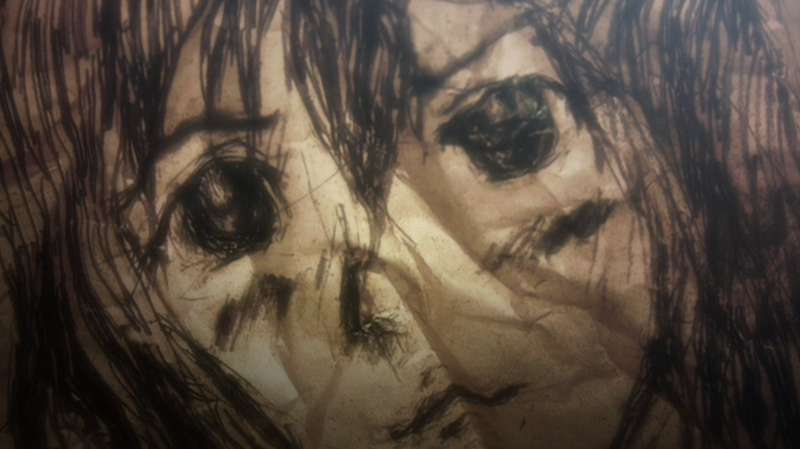 Eren and Mikasa are packing boxes into a truck. Eren seems to have difficulty with one box but Mikasa is able to handle three boxes. Jeans mom appears asking where Jean was. When Jeans mom finds him he is embarrassed and rudely tells her to leave. 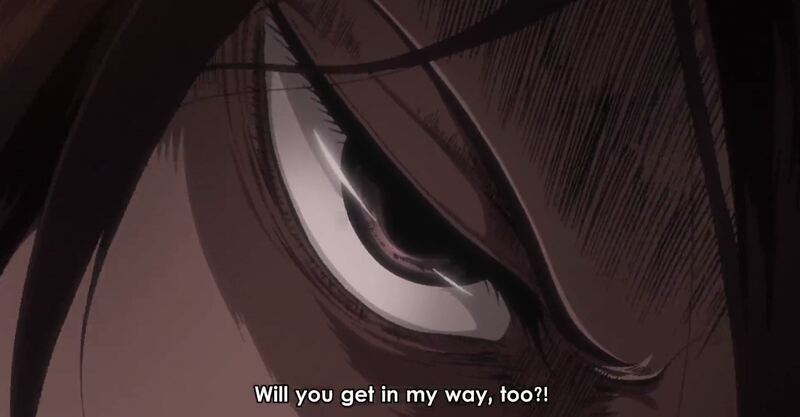 Eren tells him that he shouldn’t treat his mother that way. Jean later plots to steal beef from the officer pantry. Armin is afraid of this that he manages to break both of his legs running away. Annie also bails on his plan, but before he can accomplish his plan he is interrupted by another solider. The solider gives him the bag his mother left for him. He is reminded of what his mother has done for him. Sasha and Jean prepare their meals for Dot Pixis. Sasha’s dish is simply meat and he appears to become effected by its deliciousness. He imagines a ridiculous scenario when he is fighting titans, he is stopped by Krista, Eren, Armin, Conner and Mikasa in their “titan” modes. When he returns to reality he is rendered motionless by Sasha’s food. Jeans meal is next, he eats it but remains quiet. 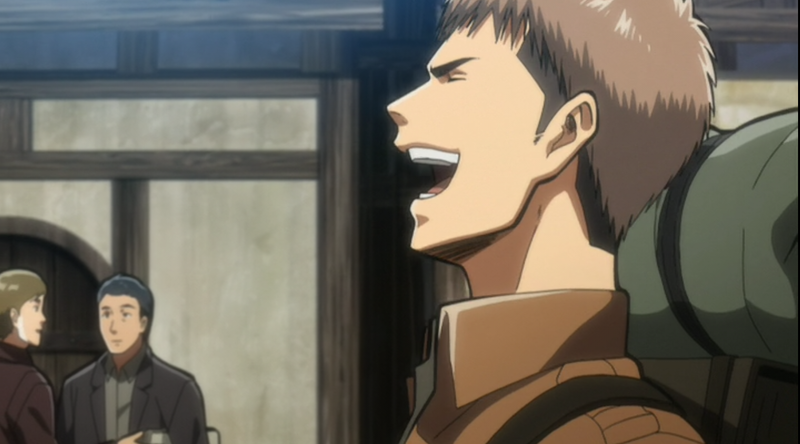 He finally announces his winner, Jean Kirstein. Everyone is surprised including Jean, but Dot Pixis explains that the reason Sasha lost was because she only offered meat, not a meal. At the end Jean make amends with Sasha and plans on visiting his mother. This Ova unlike the previous one didn’t add to the lore of the titans. 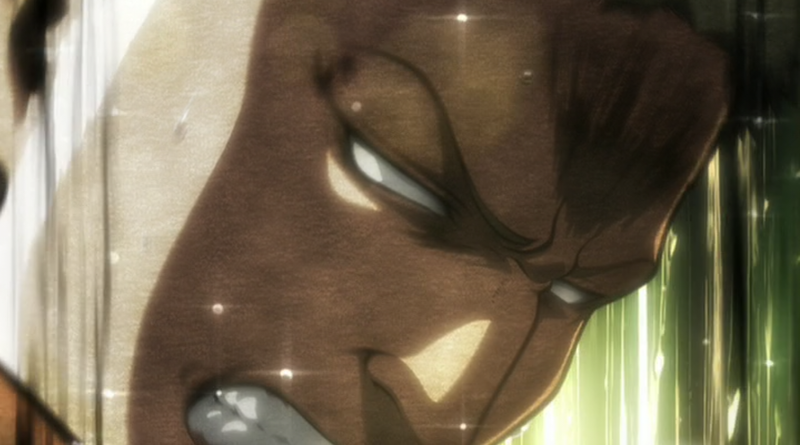 Instead it took a more in-depth focus on a generally secondary character, Jean Kirstein. I find Jean generally likable character in the main series but he really wasn’t until the end of the OVA. His main unattractive characteristic was his horrible treatment of his mother. Considering the fact that some of his fellow solider (like Eren), don’t even have mother anymore his behavior was even more jarring. Overall, I found this OVA to be very funny and even though I was expecting more titan action I wasn’t disappointed.